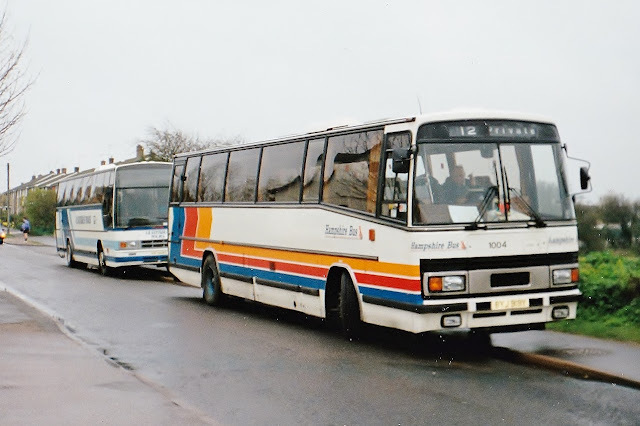 As you will have previously read, i ventured to Rotherham on Sunday to collect Yarmouth AEC Swift 85 with Chris Speed and Danny Beales. 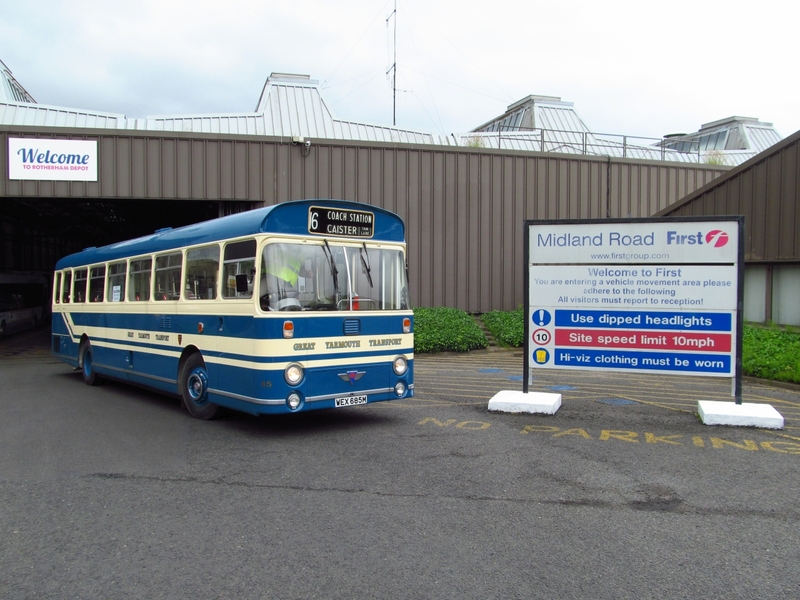 85 was prepared for her return by First's commercial until at their Midland Road premises in South Yorkshire. The unit carries out work for the whole of Firstgroup including Repaints, Refurbishment, Accident Repairs and servicing. 30888 all rubbed down ready to have its new Lowestoft Corporation colours applied. 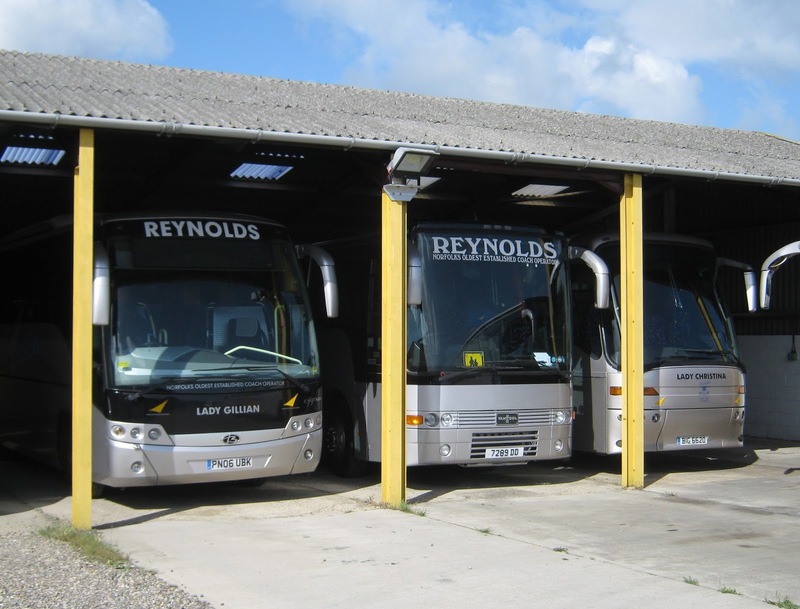 First Eastern Counties have the majority of vehicles being worked on at present at the facility with six of the fleet currently in for various reasons. 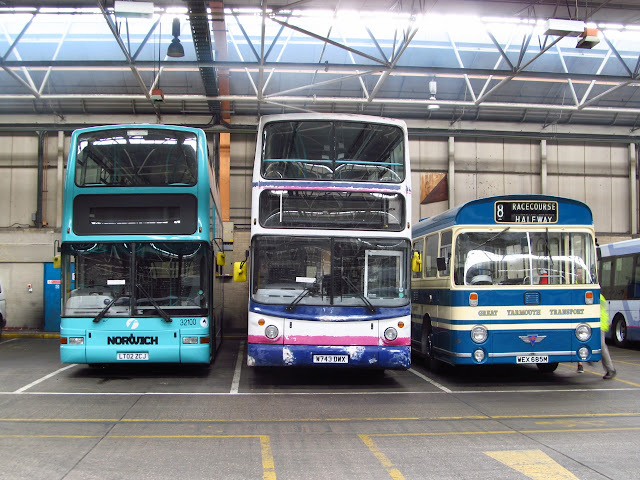 Yarmouth has two ALX400's there with 32062 waiting to have DDA work and repaint into the new livery whilst sister 32059 is undergoing the same work but gaining Great Yarmouth Transport colours similar to Swift 85, we did get a sneak peak and i can confirm it is now Blue!. 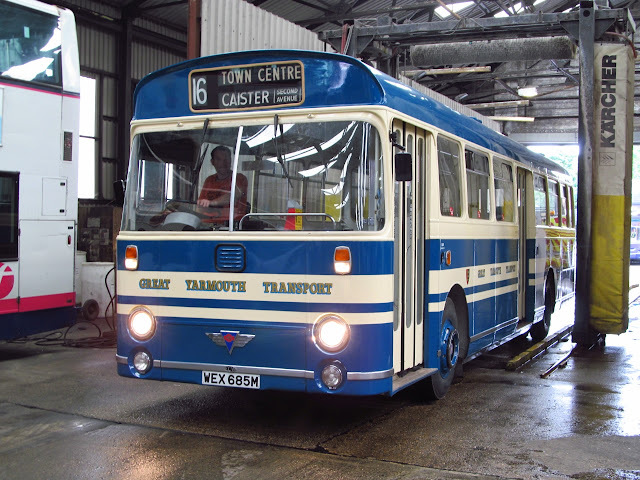 30888 is going to be transformed into Lowestoft's Heritage vehicle and as you can see from the photo it is awaiting its turn in the paintshop. Norwich had 32100 there for Seat tests and 33152 has arrived for repaint into full Purple line livery. 33152 having the first of its panels worked on prior to repaint. 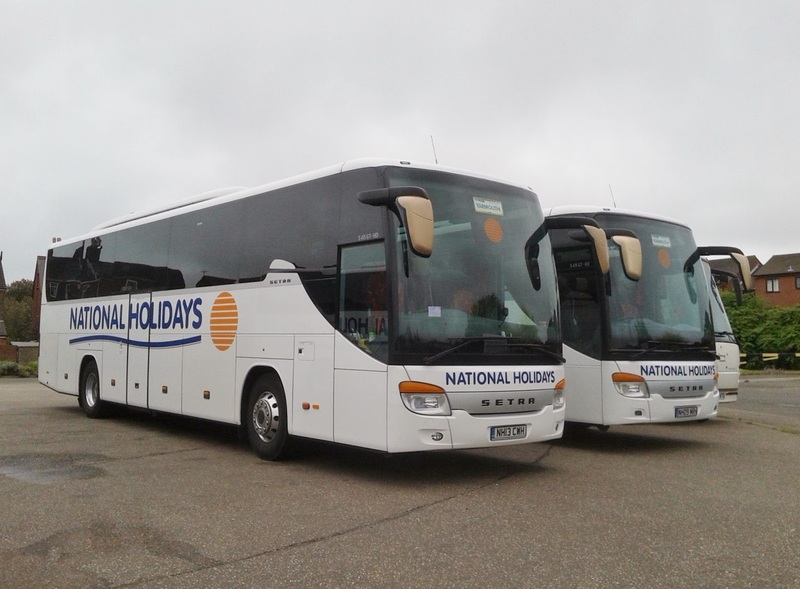 Recently repainted Coach 20514 is also at Rotherham having a full internal refurb which includes new flooring and seating, it has had all the seats removed and the new flooring is currently being fitted. A couple of First Manchester Citaros were also noted plus one of their Scania Bendibus fleet 12007 YN05GYE which was due to have work done on its axles. 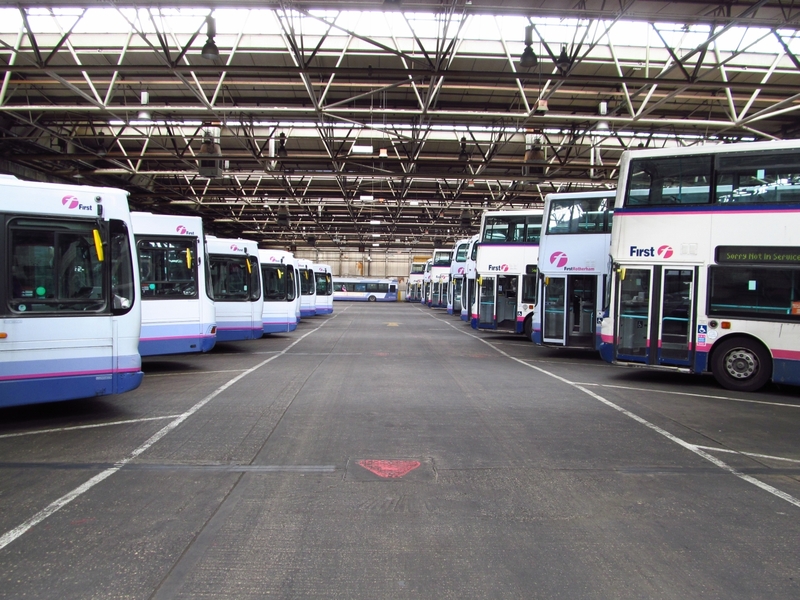 A View inside Midland Road Depot showing some of Rotherham's operational Fleet. Rotherham has a PVR of over 100 buses at present, with around 30 vehicles in use on Sunday which meant most of the fleet were visible to us on our visit, the majority of the fleet here are Wright bodied single decks with Geminis and ALX400 making up the double deck selection, the newest vehicles are Wright bodied Streetlites and there is a single Wright Streetdeck Double Deck in the shape of 35101 SN64CSF. 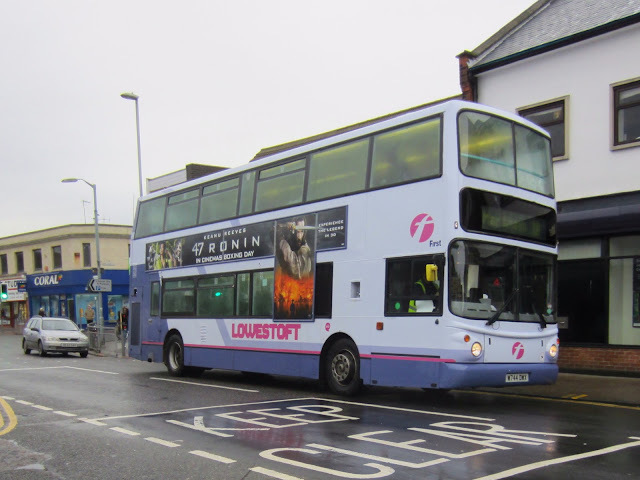 Rotherham also has Enviro 400MMC YX64VOO on trail, that was noted as we arrived working the X78 service to Sheffield. 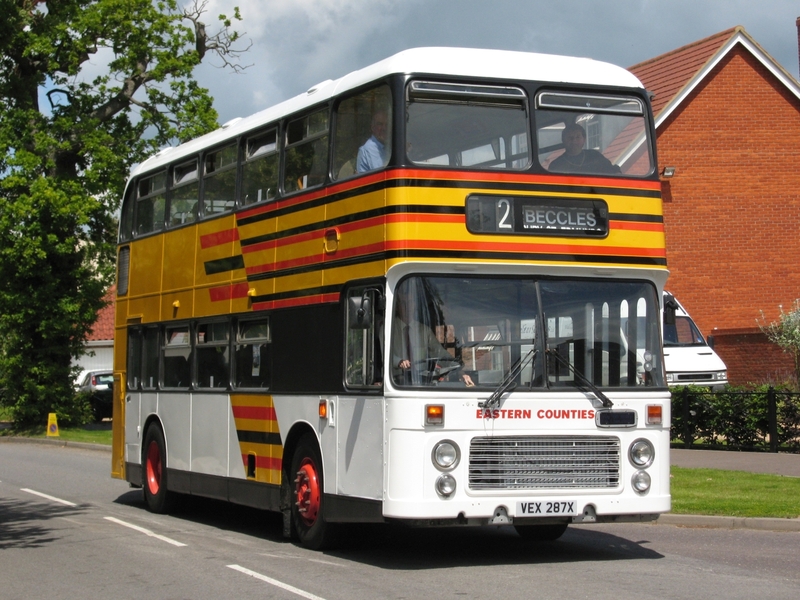 Streetdeck 35101 has a day off, lucky for us! 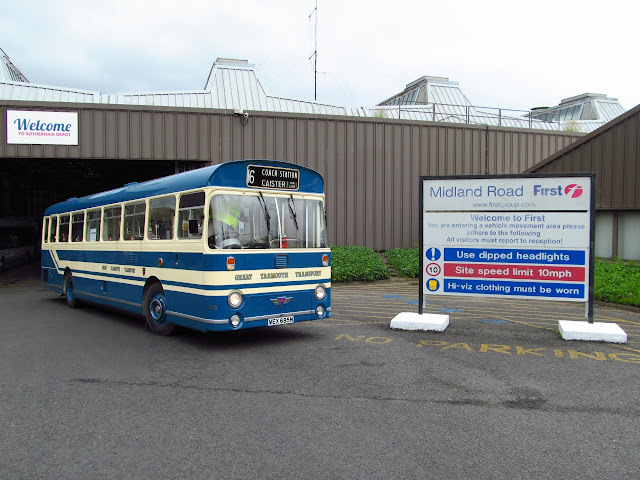 A very interesting insight into what goes on at Rotherham, once again thanks to Chris & Danny for inviting me along and also to all the staff at Midland Road for making us welcome and allowing us to have a good look around. 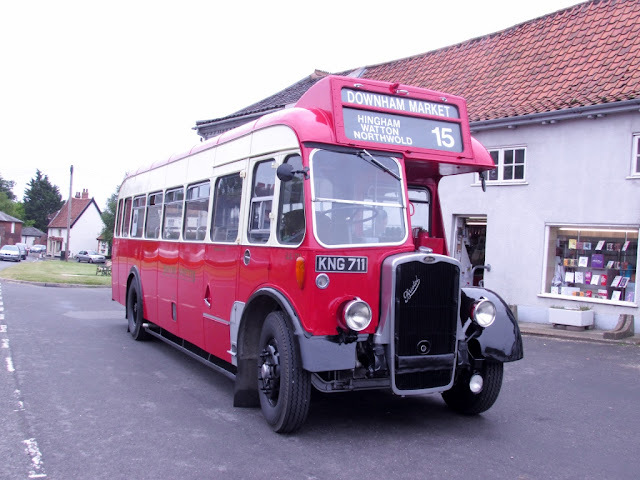 Eastern Coach Works bodied KNG711 re-enacted the former Eastern Counties Omnibus Company's route 15 from Norwich to Downham Market. 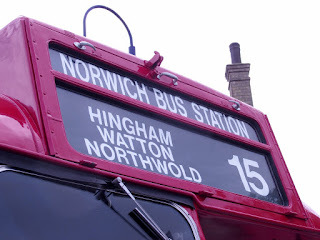 The rerun began in St Stephen's Street in the city and replicated as closely as possible the original route serving Hingham, Watton, Mundford, Northwold, Methwold and Stoke Ferry. 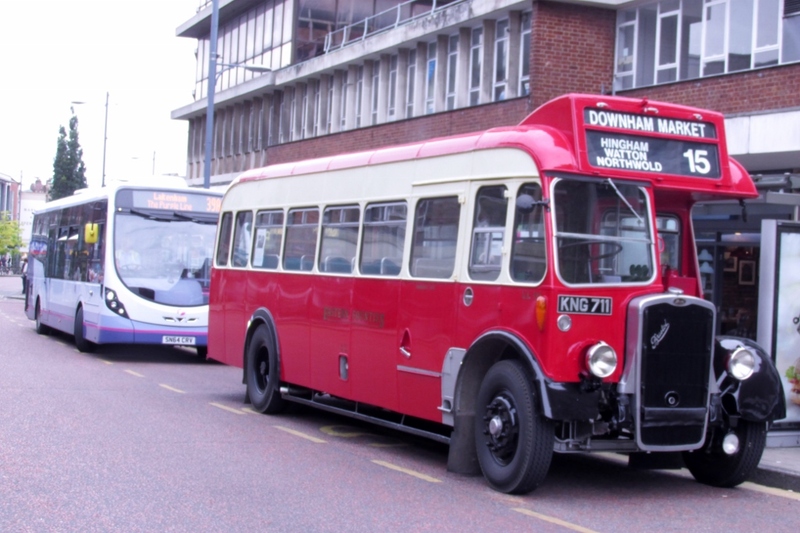 Seats on the special were limited and but Cameron Robinson was onboard and has sent in numerous photos of the celebratory run. As there were many photographic stops along the way, the complete venture took some eight hours to complete! Cameron said he thoroughly enjoyed the journey and I am grateful to him for the many photos and can only apologise for not being able to use them all! Today saw the return home of Great Yarmouth AEC Swift 85 WEX685M. 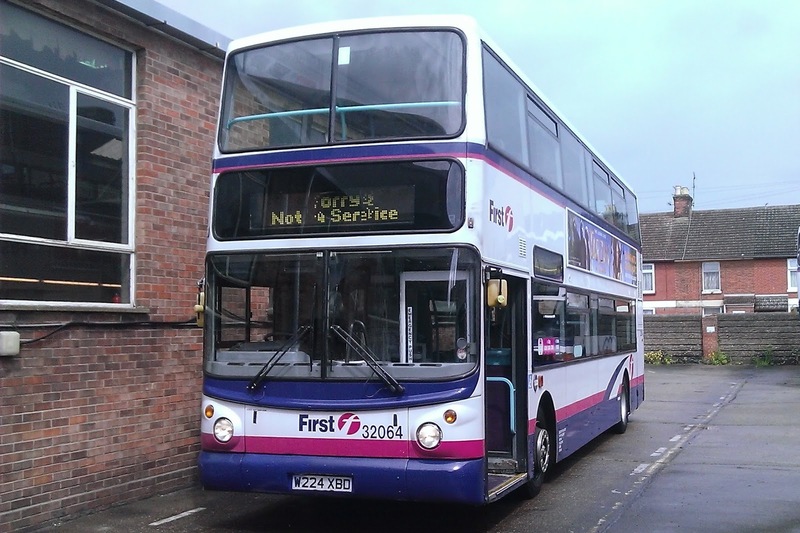 I was asked to go along up to First's Commercial unit in Rotherham where it had been having some minor work carried out and MOT before making the Journey back to Caister Road. 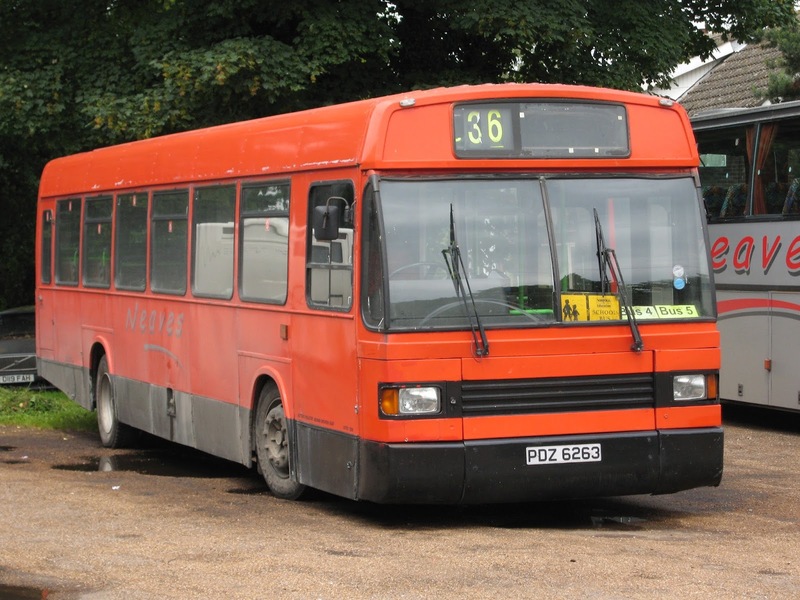 85 has been purchased by First Manager's Danny Beales and Chris Speed. So what was my part in the proceedings you may ask!. 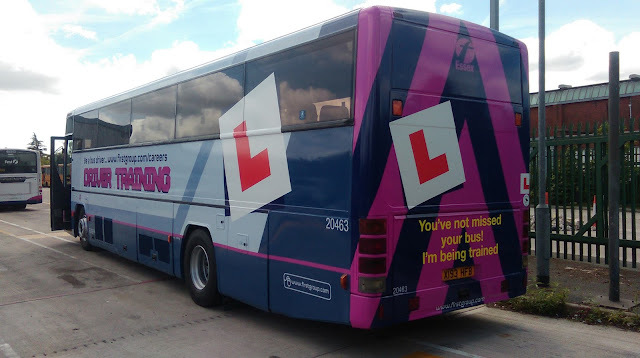 I was named driver for the car journey back whilst Danny & Chris shared the driving of 85, basically i drove in front in case of any emergencies on the way! Thankfully all went superbly well and we arrived safely back at Caister Road around 6pm this evening. 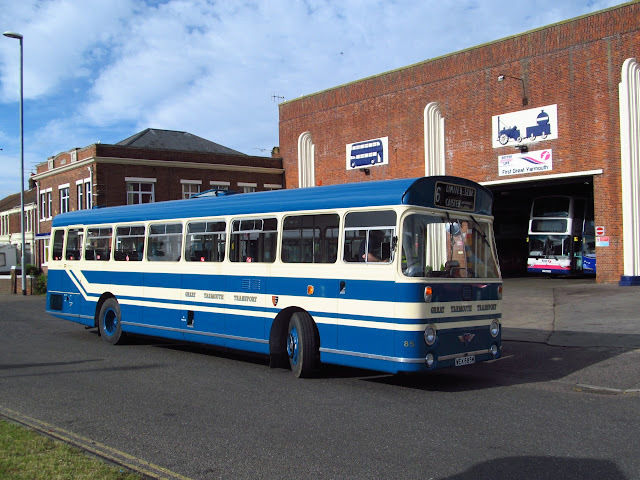 WEX685M was part of a batch of 12 AEC Swifts delivered to Great Yarmouth between October & December 1973. 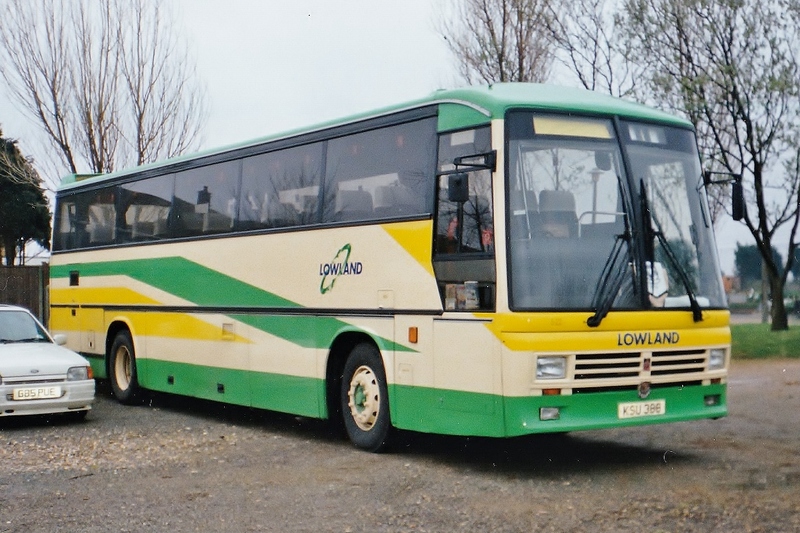 This brought the number of Swifts in the fleet to 33, others having Willowbrook bodies, all were dual doored, 2 more were aquired in 1978 from Waveney District Council these having different flat windscreens rather than curved. 85 was in service for 23 years then placed in store prior to disposal at Eastern Counties Wellington Road Depot in Yarmouth, 85 donated many parts to sister 83 which ran until the end of summer 1997. 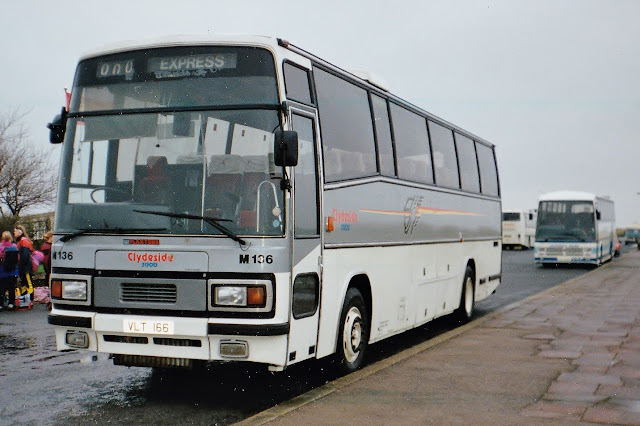 85 was now looking a sorry state missing numerous parts until February 1998 when she was purchased by Nigel Blair who set about the task of getting the necessary parts to get her back to her new home in Yorkshire, her first rally outing was in May 1998 at the Heart of the Pennines Rally. 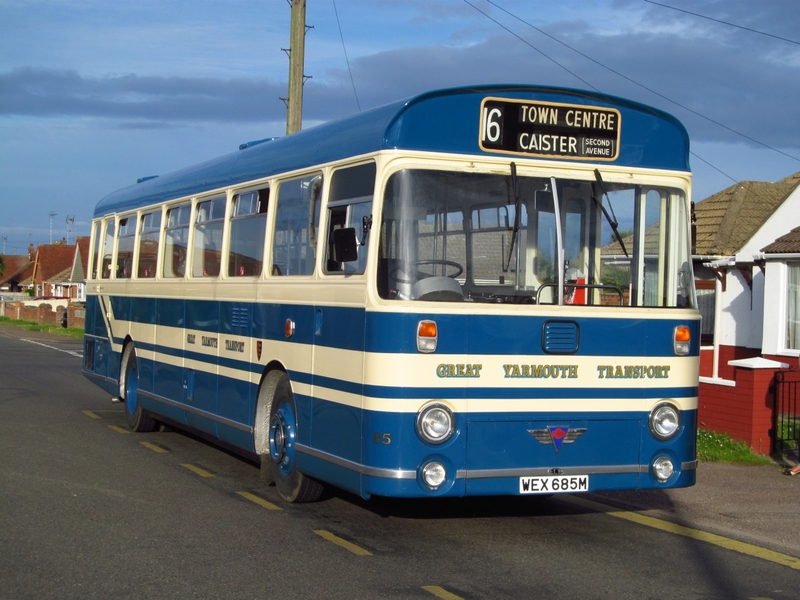 Now back at Caister Road, 85 will be kept in the depot and hopefully it will begin to appear on the local rally scene once again in the not too distant future. 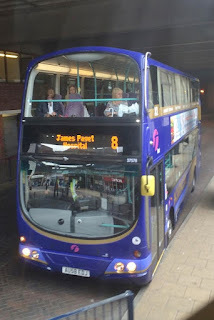 Finally thanks to Chris and Danny for asking me along, really enjoyed today, another blog will be up shortly looking at what else we caught up with at Rotherham. 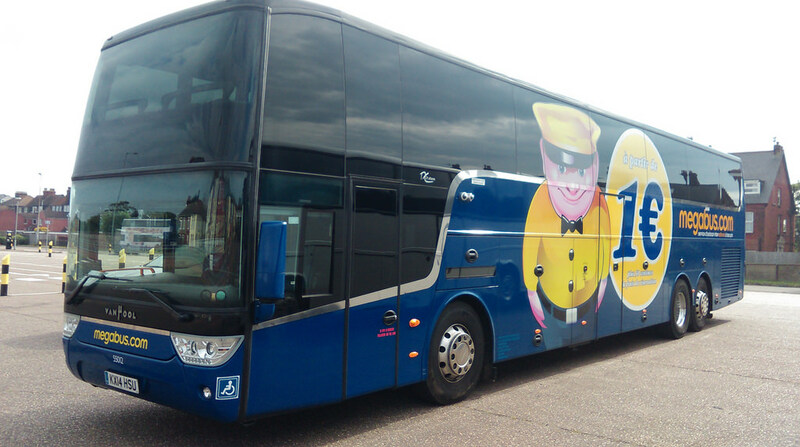 Fortunately, Steve Gowler did get there in time and this evening sends his photo of the Megabus Van Hool Altano 55012 KX14HSU prior to its departure for Cardiff. 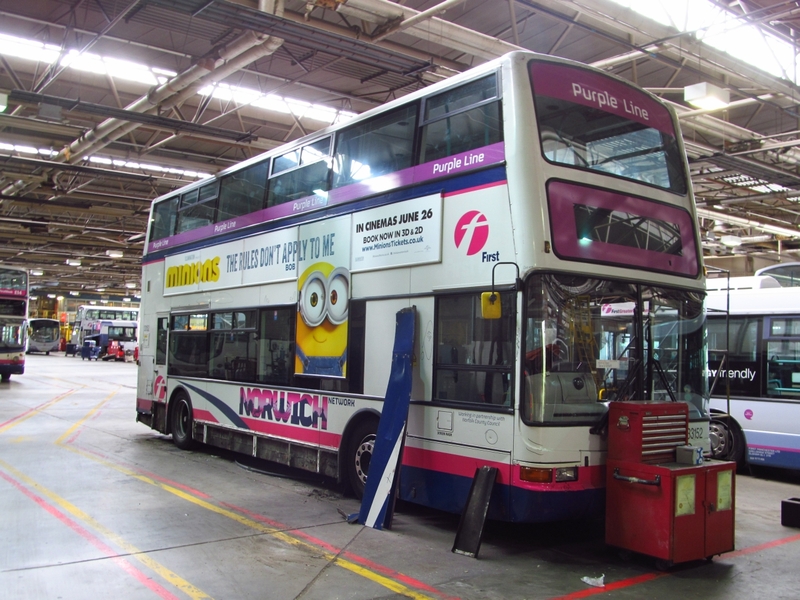 Thanks to Jim Long, we can update you with the progress of latest Norwich repaint 36172 at Simon Morris in Ipswich. As you can see it's just awaiting the finishing touches now before heading back to Norfolk. Thanks once again to Jim for the photo. Grahame. 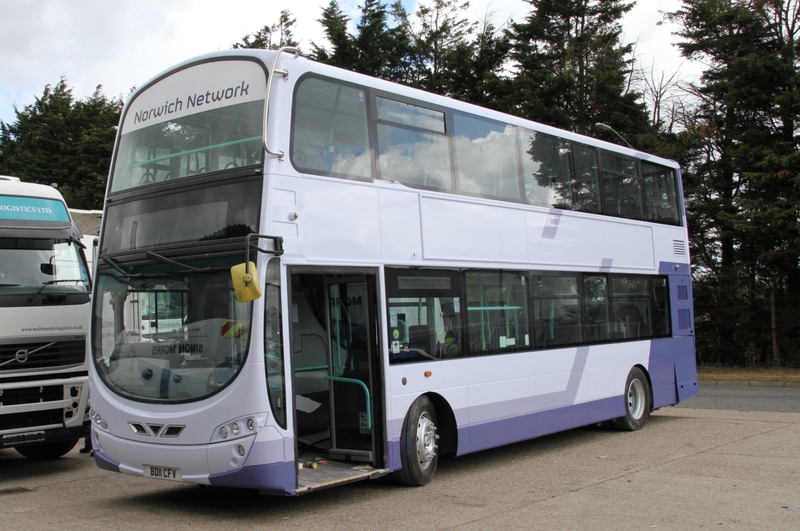 Eastern Counties were rumoured to be gaining some of the new creation from Wrightbus, The Streetdeck but unfortunately this is not to be just yet! 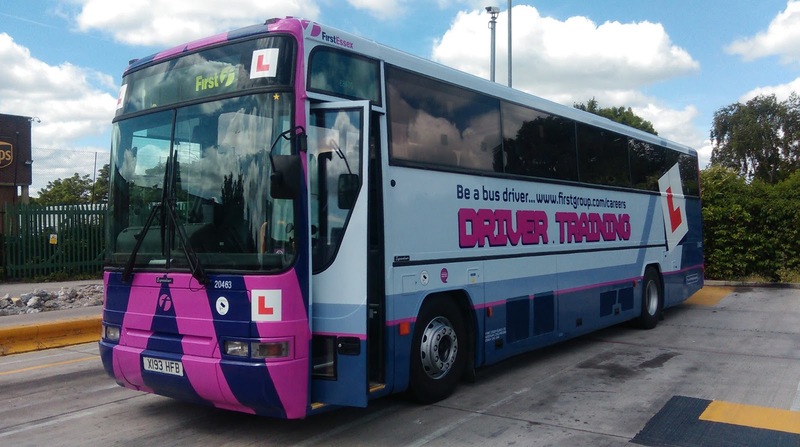 I contacted a photographer on Flickr after seeing a photo of a demonstrator that has arrived for evaluation with East Yorkshire Motor Services. 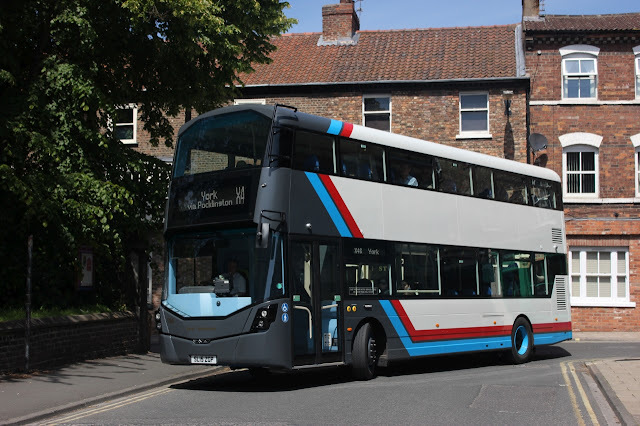 It arrived with EYMS on June 8th and allocated to Hull, it is being used on the X46/47 Hull/Market Weighton/York service for around 3 weeks. 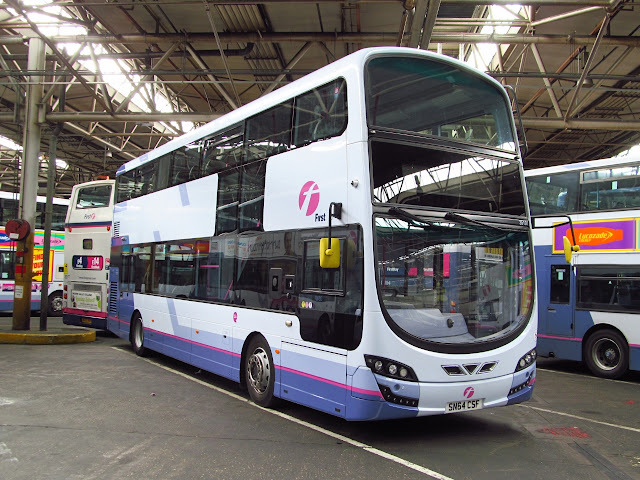 The jury is still out on the overall look of the vehicle, i think it is a grower but the individual livery will make the decision for most people depending on the operator involved. Many thanks to Scott Poole (6228 Leeds on Flickr) for sending the photo to me. Scott also has his own blog which you can visit here www.scottpoolesbusblog.com Well worth a look! Loooking back through old photos makes you realise how much has changed in a short space of time, i found a selection from the summer of 2007 taken around the local area, only eight years ago i hear you say but all the vehicles around then have departed for pastures new or the scrapyard to finish their time. 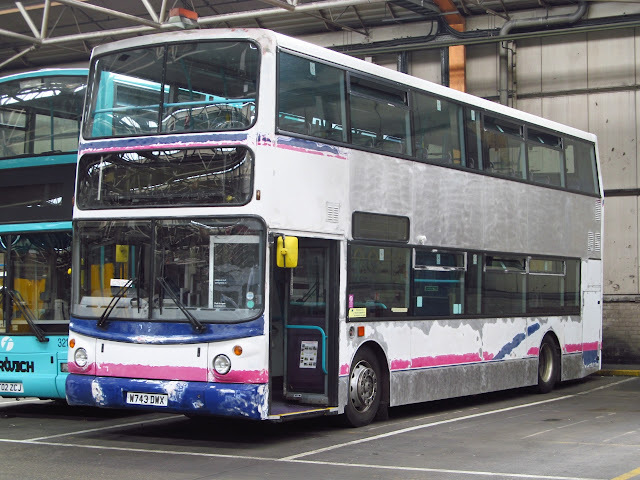 69006 AU05DMF after an X1 short duty at Caister Road in June 2007. 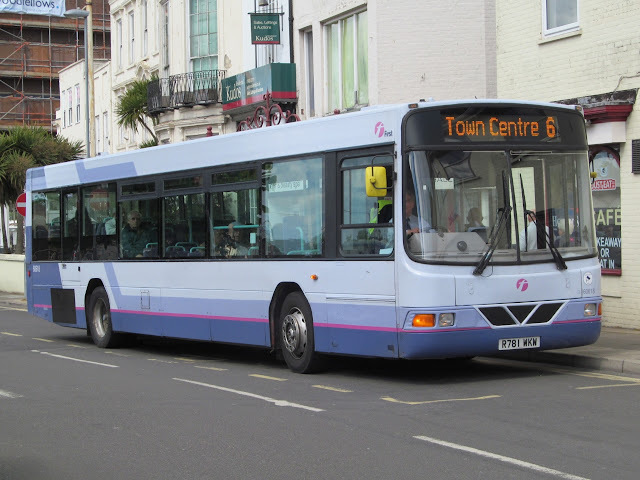 Caister Road Depot was home to all the Norwich Park & Ride fleet at the time but many of the non standard liveried vehicles often appeared on local routes around the town during their time here, 69006 pictured above was seen after operating the X1 back from Norwich. Probably my favourite RML photo, 39717 leaving the Beach Road Terminus in May 2007. 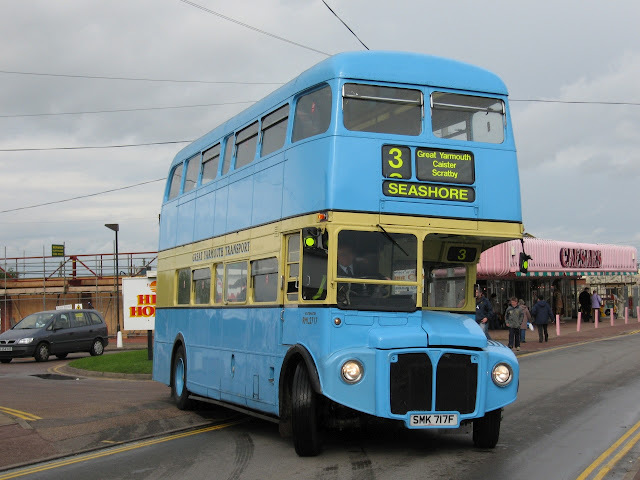 Enthusiasts were treated to Three Routemasters operating the summer 3 route from Yarmouth to Hemsby, 39480 JJD480D in traditional Red, 39623 NML623E in Banana Yellow & Green and 39717 SMK717F in a wrong version of Great Yarmouth Transport livery!. 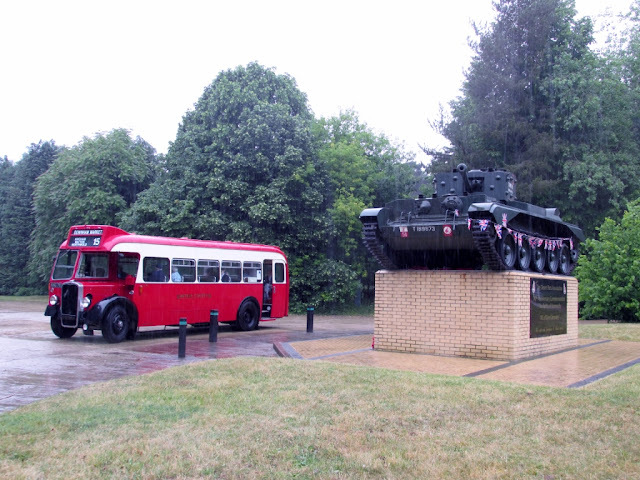 Other members of the fleet did appear if the RML's were out of action. 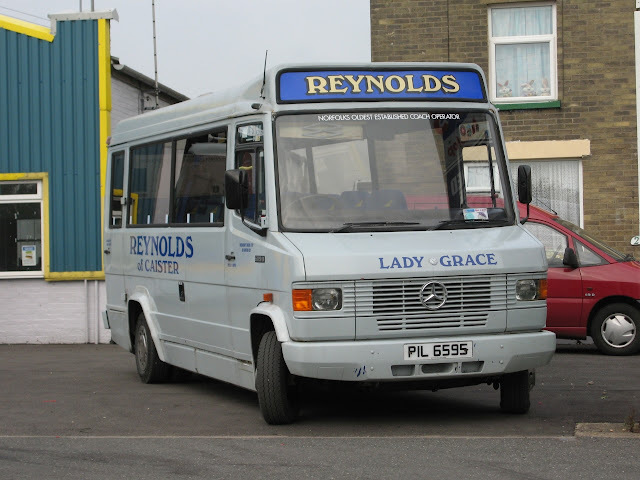 Reynolds Coaches in Caister were going through a repaint scheme which saw vehicles gain a new Grey, Blue and Yellow livery which was later replaced with the Silver colours in use today, Mercedes minibus PIL6595 gained a full allover Grey look shortly before being withdrawn. 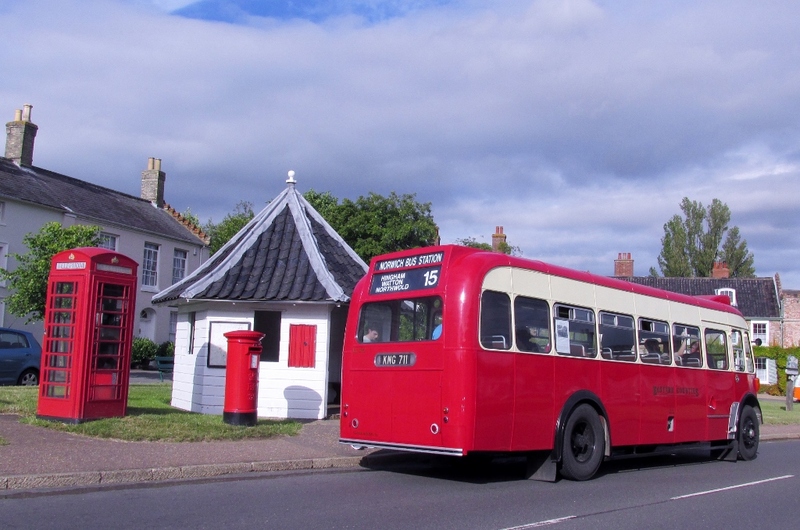 Neaves of Catfield were running quite a few Leyland National Greenway conversions in this year, all were painted in an allover Red livery, some gained names others without, used on a mix of local services and school contracts they were a common sight around East Norfolk for a while. July 2007 saw a special event at the Eastern Transport Museum to celebrate the vehicles built at Eastern Coachworks in Lowestoft, a sunny sunday in July saw many superbly turned out vehicles appear at Carlton Colville for a day of nostalgia, one of my favourite events there i have to say. Well some of 2007 remembered here, im sure many more blogs will appear in time from various years jogging a few memories! 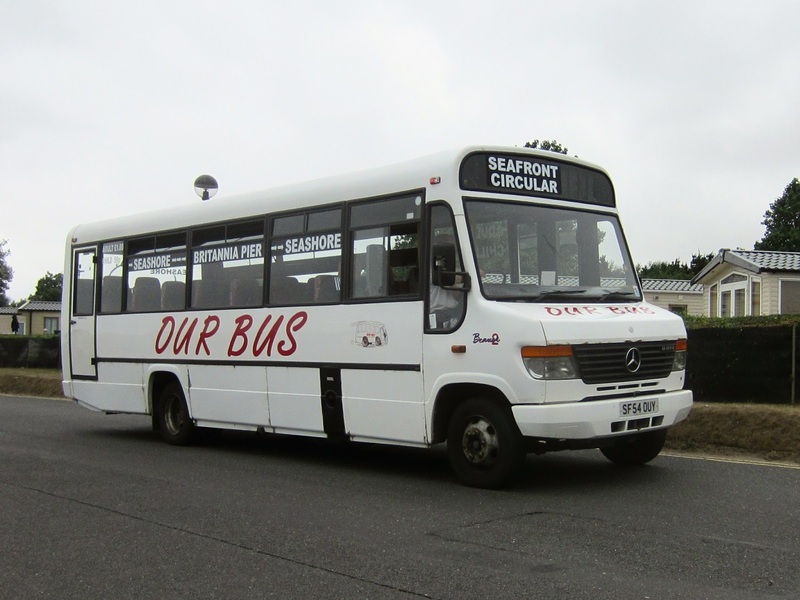 Last weekend Abigail visited the site again and officially unveiled a thirty five seater as Lady Abigail following its refurbishment. 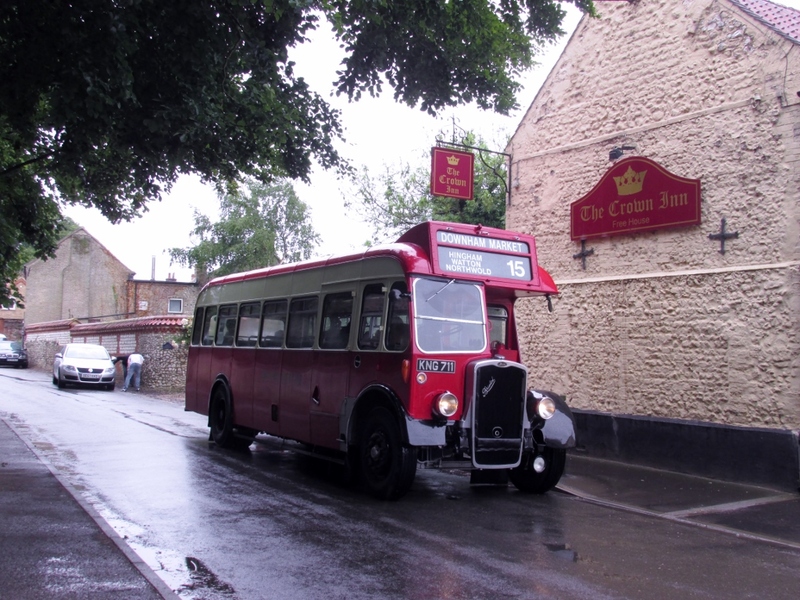 She then inspected the coach named in her honour and tried out the driver's seat! 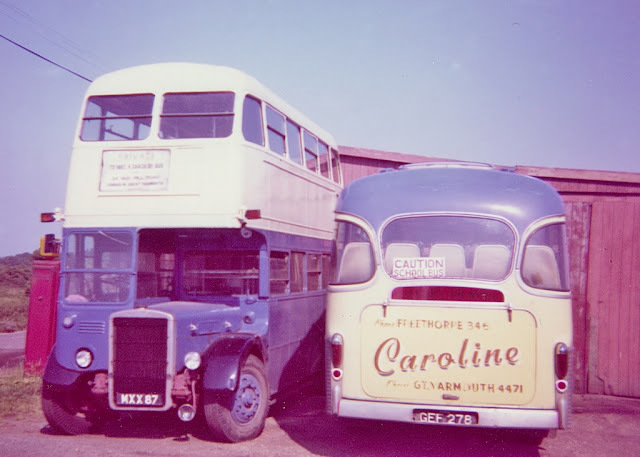 The photo was taken at the former Lake of Halvergate premises, the company being acquired by Caroline in 1955. For some time it was where most of the company's maintenance was carried out. Incidentally, MXX87's companion in the photo is a 41 seater Plaxton bodied SB1, new to Beeline of West Hartlepool in March 1959. Note the telephone numbers! With the return of ALX400 32064 from Rotherham after repaint one of the Yorkshire B10BLE's that has been on loan to Yarmouth has moved up to Norwich. 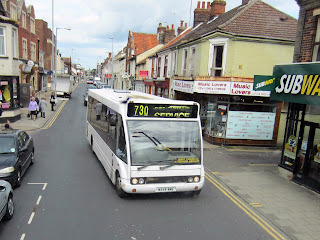 60618 R781WKW is now working in the city. 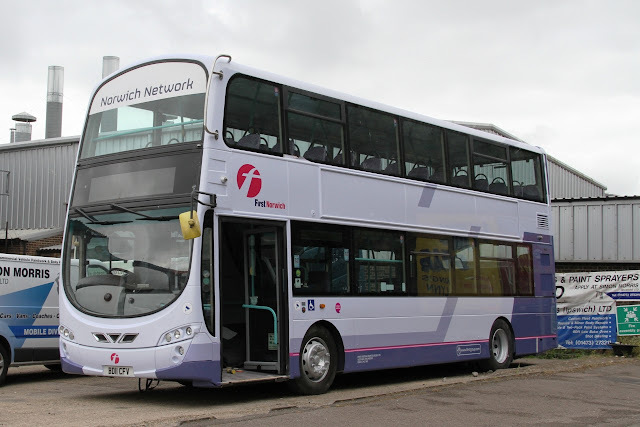 Not strictly our area but something a bit different, First Essex Coach 20463 X193HFB is the latest vehicle to gain the rather lively First Driver Training livery at Chelmsford. 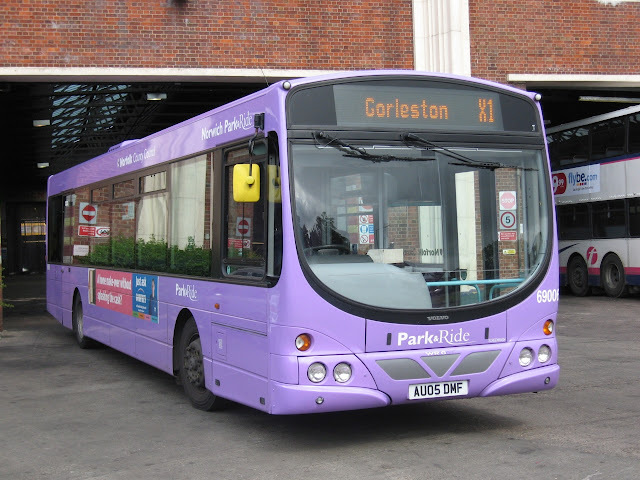 The vehicle previously acted as a back up for the X30 Aircoach route between Southend and Stansted Airport. She was new to First Wessex as 6193 for National Express work in 2000. 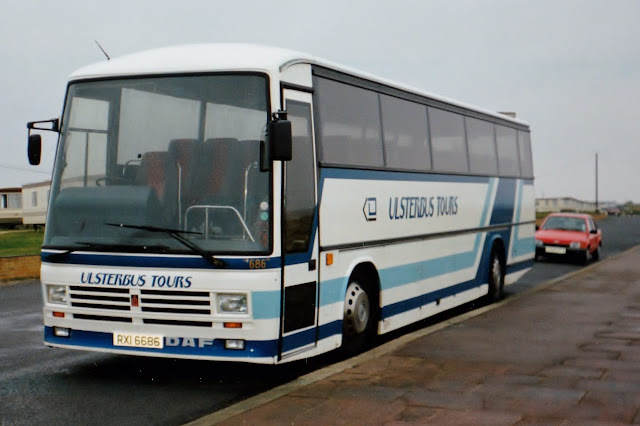 Many Thanks to Simon Coates for use of the photos. 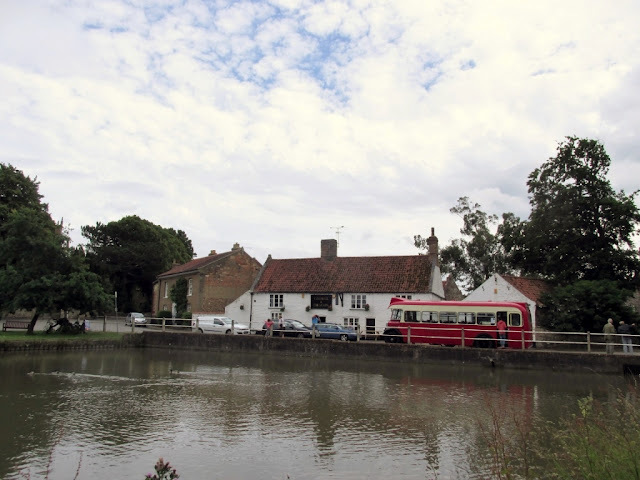 Under the heading of 'Applications to Vary Existing Services' Borderbus of Beccles is to amend route, stopping places and timetable of its route LAT3 between the Latitude Festival site at Henham and Southwold from 17th July 2015. My first post since returning from 'over the pond' and at last my body is returning to UK time and the jet lag appears to be waning. North Norfolk Railway Diesel Gala + Some Buses!